Enjoy a unique experience where you play outside the game. Tae.exe is a meta puzzle game where you interact with the game's files. Help Tae to get out of the Metaverse, a glitched dimension between video games. 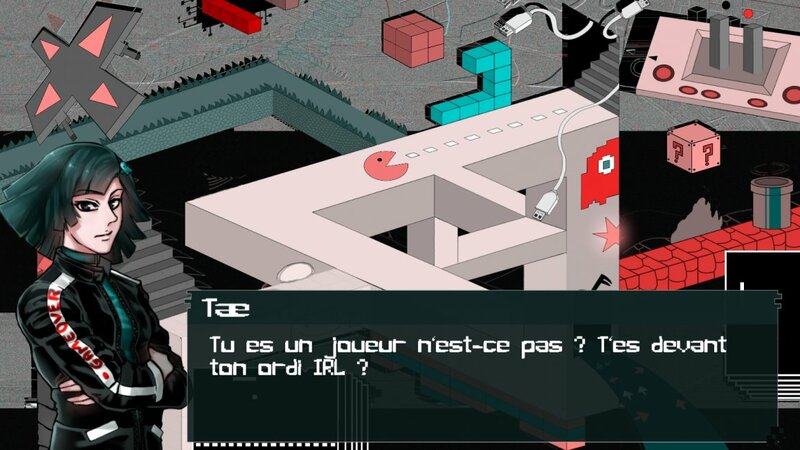 Tae.exe (formely Think Outside the Game) is a 3 month student project started on March 20th and ended on June 5th, in the context of a video game master degree (Master JMIN at CNAM ENJMIN in France). The game was tested only on Windows 10, you might experience problems with other versions. Wow, that was a really fun game to play. The mechanics were something completely unusual, unique and very well-crafted. The only game that requires the player, rather than the developer, to fix it. The attention to detail (computer CDs especially) was a phenomenal idea. Would love to see some classic CDs as easter eggs (Doom, music CDs, etc). The upside-down level was annoying to play though, very frustrating having to use the file explorer upside-down, had to use my stream view to navigate. The artwork was very good; some parts were exceptionally well drawn while others were a little amateur. The combination of art styles and skills fit very well with the theme of the game. My only complaint is the overabundance of visual glitches - it was cool to see an occasional artifact but when they occur too often it hurts my eyes and doesn't make for a very pleasant experience. The music & sound design was exceptional! The music muffling effect when alt-tabbed and the glitch intensity when Ctrl+Alt+DELing was an amazing detail. Overall, this game is very unique and fun to play. Unlike any other "hacking" games I've played before. Thank you very much ! Yes the platformer has always been a problem... There is another way to solve it, but when people don't find it, it becomes frustrating for the most part. Um... How to rate this game... Alright let me be honest, this game is meta, I like meta, but some poeple don't. Based on my opinion, this game nails it. I wasn't even aware a game could change depending on how I changed the files at runtime (I am so glad someone actually coded something like this). I literally wanted to draw the cable perfectly instead of just a red line. This is something I usually wouldn't do, so that's definitely a plus. Fear (I'm a scaredy cat, sorry). A very strange first impression. Me wanting to actually play the game even though I got the chills. How can I rate something like this objectively? Alright let's see... For me, from a programmers perspective, I would give this a solid 5/5. Why? Am I a bad critique? Maybe, probably, but let me continue. I play tons of games, and never would have I imagined something going as far as this. 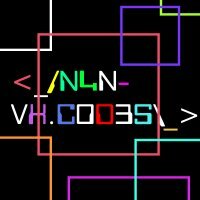 What if I were lazy, and really didn't know anything about coding? Hmmmm... This I really cannot say. But, I can say a few things, to help you make it even better (I hope). 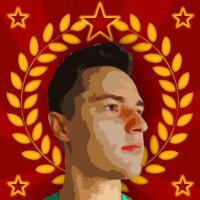 Try to grab the "unexperienced" player's attention by making it somehow less complex. For me this would kill the game to be honest. I want it to be this complex, but what about the others? So this is my major complaint, and it's not really about me, is it? The platformer... I believe even you understand that it takes a bit more than playing but also patience and a bit of precision. I would make it so the pieces automatically stop after they reach the destinaion? I don't know. It was just a weird platforming experience, but I love how you made me code the platform (I can't say how I got the solution but that was incredibly original how you gave it away, I don't want to spoil it). So what's my veredict? Keep going, don't stop. I feel this kind of game would make me want to quit quite soon into the development, because it's tough to make a game this complex. If you manage to finish the product, you're going places! What can you fix? I don't know, maybe there's a rather big amount of glith effects and there shouldn't be that many? Make it less scary (please, I just have a hard time with scary games)? Just... Do what you want. Even if I end up not playing because I'm scared, people will surely enjoy the heck out of it. Thank you very much for your great feedback !